Terrorist group Islamic State (IS) has started killing hostages seized after it took Assyrian Christian villages in Syria’s Hassake governorate – with reports that around 15 are dead. In a message sent to Catholic agencies working in the region, including Aid to the Church in Need, Archimandrite Emanuel Youkhana passed on news of the executions from a contact in Hassake city – and said the number still being held exceeds 350. From the village of Tel Hormizd 14 people were taken – 12 men and two women – who were fighting to defend their homes. Reports indicate that of the Tel Hormizd fighters one woman has been beheaded and two men were shot. There is no information about who the other executed captives are. But they may be some of the 13 Christians from various other villages, who were seized while fighting to protect their homes. 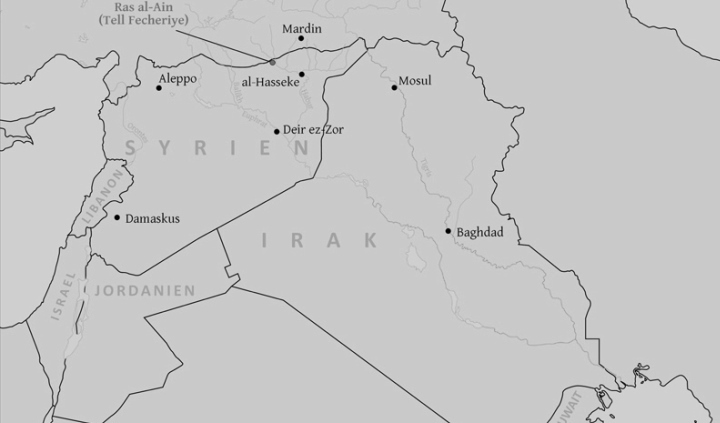 Archimandrite Youkhana’s source in Hassake reported that at least 350 people have been captured by IS. In addition to the fighters mentioned above 81 people were seized from Tel Jazira, 21 from Tel Gouran, five from Tel Feytha and three from Qabir Shamiya. All of the above are being held in the Arab Sunni village of Um Al-Masamier. Also, 51 families from the village of Tel Shamiram have been taken – Archimandrite Youkhana added: “The average is five persons per family”. None of the families from Tel Shamiram managed to escape. From another source there was an unconfirmed report that the mosque in the Arab Sunni village of Bab Alfaraj had called on people to attend “a mass killing of infidels” at Mount Abdul Aziz tomorrow (Friday, 27th February). There are no families left in the 35 Assyrian Christian villages, all remaining villagers have now fled to Hassake or Qamishli. Fr Bakos from Tel Tamar was the last person to leave and travel to Hassake. He reported that the only people left there are Tel Tamar fighters who are trying to defend the town alongside Kurdish PYD (Democratic Union Kurdish Party) soldiers. Archimandrite Youkhana said: The displaced registered families till yesterday evening are 800 families in Hassake and 175 in Qamishli. This entry was posted in persecuted Christians, war aleppo syria. Bookmark the permalink.